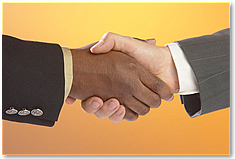 We believe the philosophy of "one plus one"
partnership to reach mutual success. We are eager to work with IT partners in different countries to increase our market coverage. To cooperate with us, please select and click on the following link. AvailaSoft Sales Team (AST) provides dedicated sales support to our partners, resellers, distributors. We have adopted account and project protection schemes to ensure that your effort will be definitely turned into your profits. AvailaSoft Marketing Team (AMT) provides comprehensive marketing materials and tailor-made marketing programs to fulfill your specific needs.